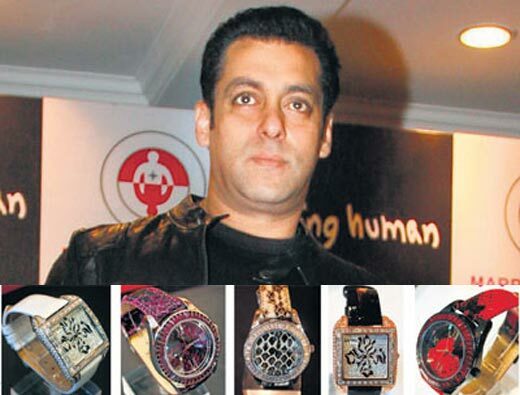 Dabangg star Salman Khan, after launching Being Human watches for men, has now unveiled exclusive watches for women keeping in mind their taste and fondness for style. Priced between Rs 7800-12,000, these watches are now available at all leading watch stores. This is not it. The actor is also planning to launch a high-end range priced R 55,000 onwards. He gave us five reasons why women should be arrested by the new range of watches. All the watches have been designed in Switzerland.